Use your talents to reach out to friends and family in support of Habitat. There are many ways to help support the work of Twin Cities Habitat. Become a volunteer fundraiser by creating your own donation campaign to help hard-working families purchase and stay in their homes. Put your creativity to good use and explore the opportunities below! Habitat participates each year in the annual 24-hour online giving day in November in Minnesota called Give to the Max Day, sponsored by GiveMN.org. Each year, we rely on Habitat Builders to fundraise on behalf of Twin Cities Habitat to make the day a success and to serve more families. Habitat Builders are responsible for nearly $40,000 of donations on this one single day! Check back as November gets closer with information on how to participate this year, and see below for ways to fundraise year-round. 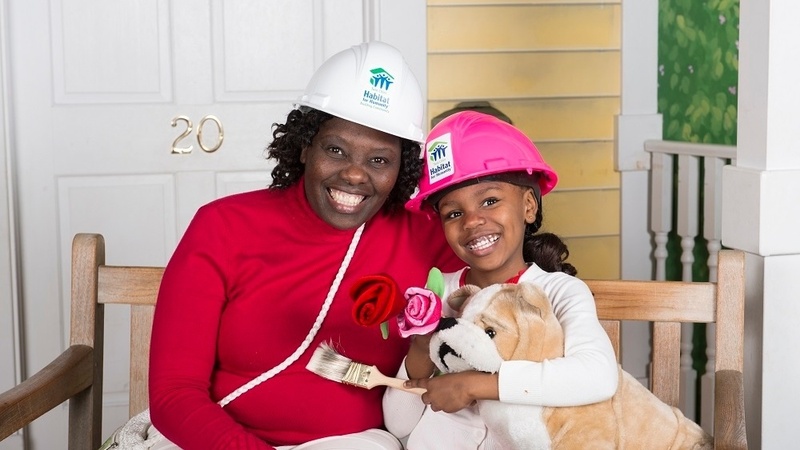 Join other passionate supporters and donate your birthday to Twin Cities Habitat! Instead of receiving gifts, ask your friends and family to make a donation to Twin Cities Habitat. Your birthday will become that much more meaningful as you help support a local family on their journey to homeownership. Creating your own birthday fundraising page is simple, and it allows you to share via email and social media. Join team Habitat in the Twin Cities Marathon or 10 mile run! This unique fundraising opportunity is a great way to stay healthy and also support affordable housing. Let's run together and make affordable housing a reality within the Twin Cities. To get more families into Habitat homes, we rely on thousands of volunteers every year. Help cover the cost of your build day by fundraising and organizing a build day for you and your friends! Still want to fundraise? No need to have an event or occasion! We appreciate all of our fundraisers who want to get creative and help families who partner with Twin Cities Habitat. Become a volunteer fundraiser for Twin Cities Habitat and show off your social media and networking skills. Use our helpful resources below to get started! Ready to get started? Create your fundraising page now! View templates of what to include in your email and social media posts to friends and family. Questions about becoming a fundraiser? Contact us.